Ink adheres to a variety of non-porous surfaces such as plastic, CDs, acetate, metal, ceramics glass and more! 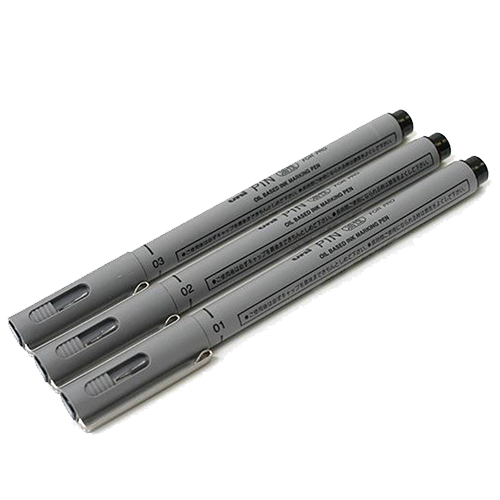 These are versatile technical pens in writing, drawing and designing. Available in 0.1mm to 0.3mm point sizes.